This semster I had a sweet course in university named , Software Engineering 2 , with Professor Ostadzade. 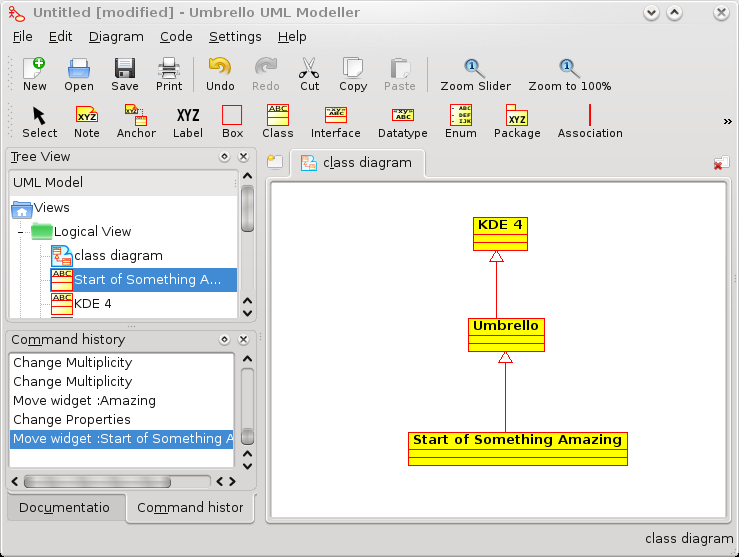 Umbrello UML Modeller is a Unified Modelling Language diagram programme for Linux (KDE), Windows and MacOS . the most exciting thing that I liekd about Umbrello is their Manual Handbook, which they explain all the cool things you can do with Umbrello . it has all the UML arrows and figures , if you want to draw a UML diagram by yourself , then it can give you a good hand ! i had reviewed almost all these apps. and i believe that ArgoUML is the best of them.